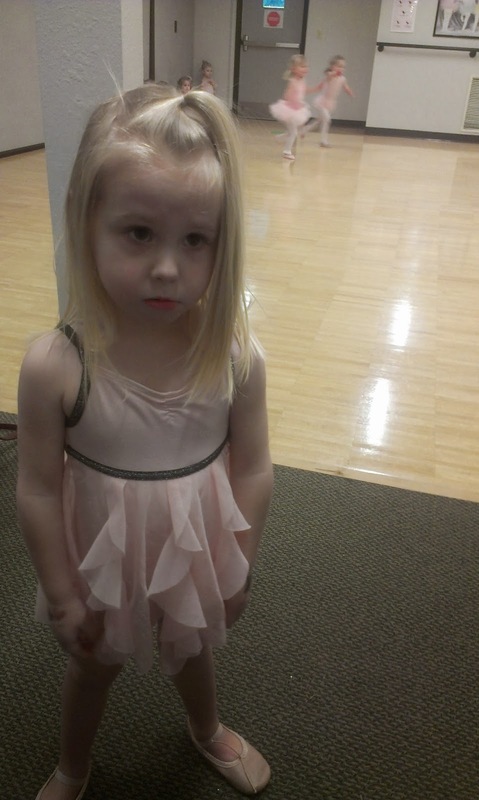 Adalyn started taking ballet classes a couple weeks ago at our local Community Center. Since she is a big 3 years old now, I thought it was only fair that she got to pick an activity to do while Shane was in school. 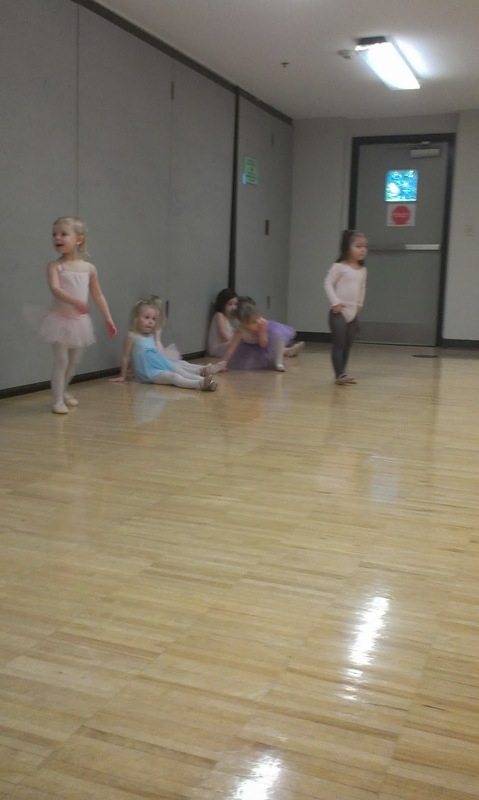 Ballet was what she picked (though I'm not sure I gave her any other choices). The week before she was over the moon excited about going. 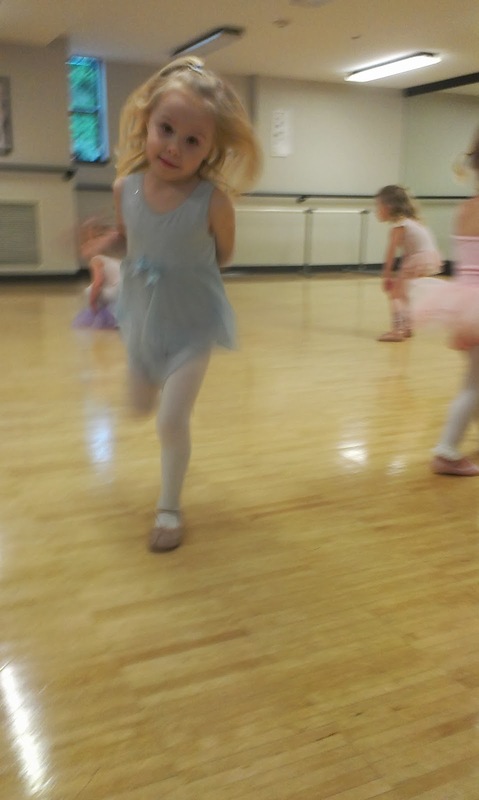 Twirling and spinning around the house "practicing her ballet". Though she did make me promise that I would be there to watch her the whole time. 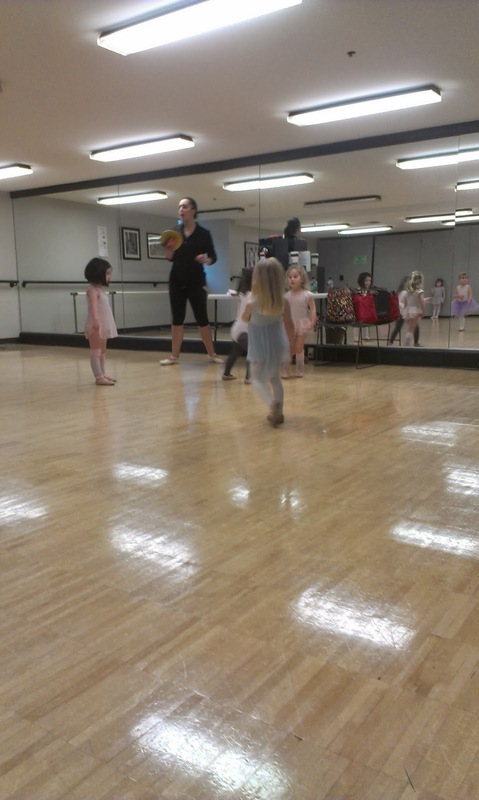 Week 1: There were 10 little girls dressed in pink tutus. Mass Chaos! They were running around like crazy people. Not following directions at all. Adalyn wanted nothing to do with it. She pouted, whined and complained the whole time...all while sitting on my lap watching. Week 2: There was improvement! She went out to the circle and followed a couple of the exercises. She still spent most of the time on the side lines with me. She was quite happier about being there for the most part.